I know that I wasn't very diligent when it came to deadheading (removing spent flowers) from most of the perennials and shrubs in my garden this year. It was just too hot, I was too busy, [insert your favorite excuse here] -- whatever the reason I just didn't do it. Who could really tell though? Looking around my yard, it looks like a typical early-autumn garden. No evidence of my laziness. Except for the roses. 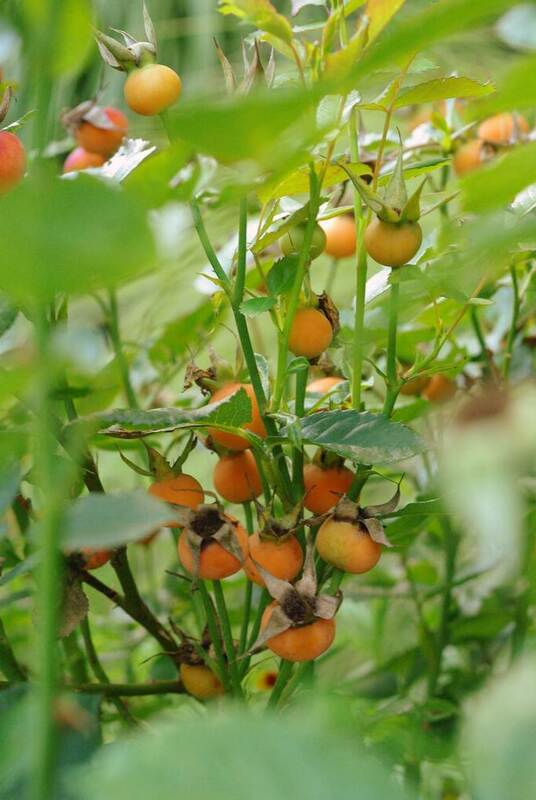 The tell-tale sight of bright red or orange rose hips makes it clear to anybody who has grown roses before that I left some blooms in place after they faded. Okay, more than "some". Lots of them. 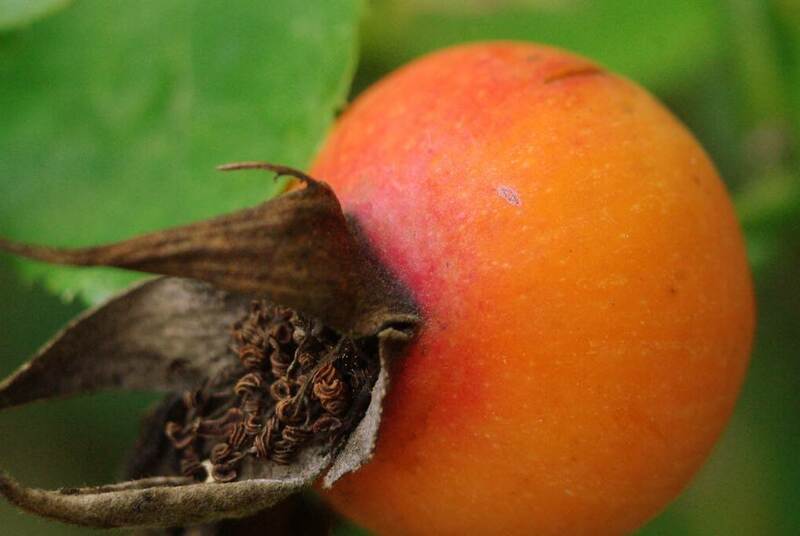 In fact, if you didn't know any better, you might say that I had a nice crop of crabapples growing right now. 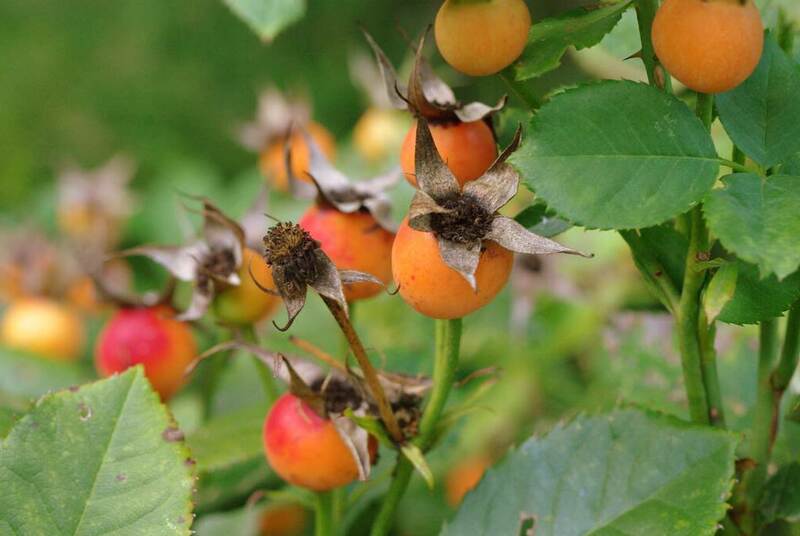 Although, the rose hips are quite attractive and colorful. They do last for a very long time too. Much longer than the blooms ever did. So a visitor to my garden might think that I purposefully did this, to assure that my garden would have as much late-season interest as possible. Yeah, I'll go along with that. I totally planned this. Hi Alan, laziness has lovely results too once-in-a while. Those hips are so beautiful in those colors. 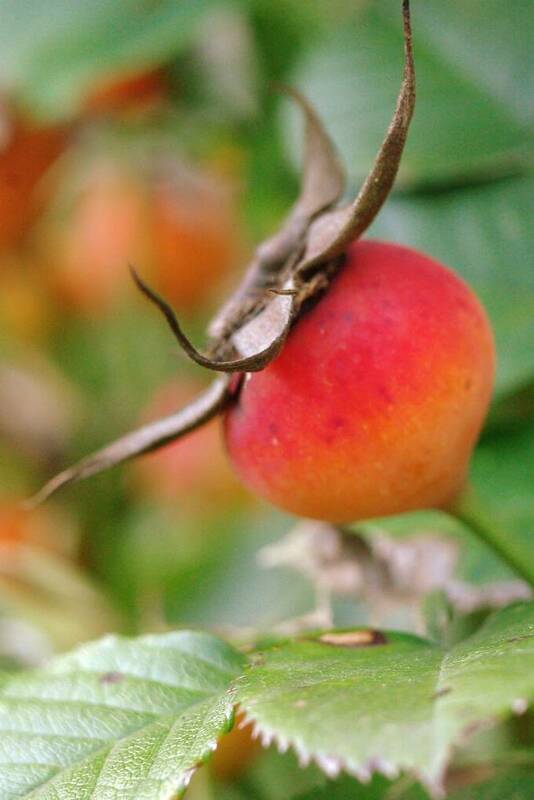 Our roses here have very small fruits and they don't have very lovely shows like those in your photos. 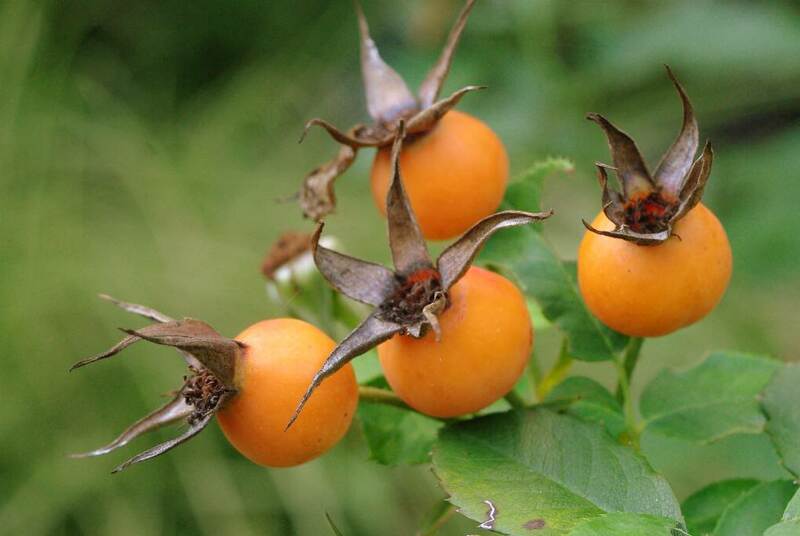 Rose hips are beautiful. 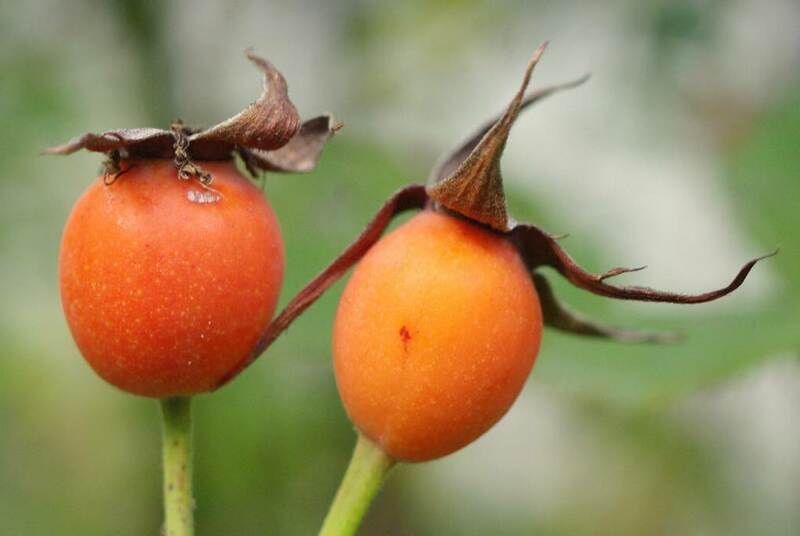 We used to collect them to make rose hip syrup but I am not sure what kind they were. Loaded with vitamin C. A very fall look which reminds me of my childhood. 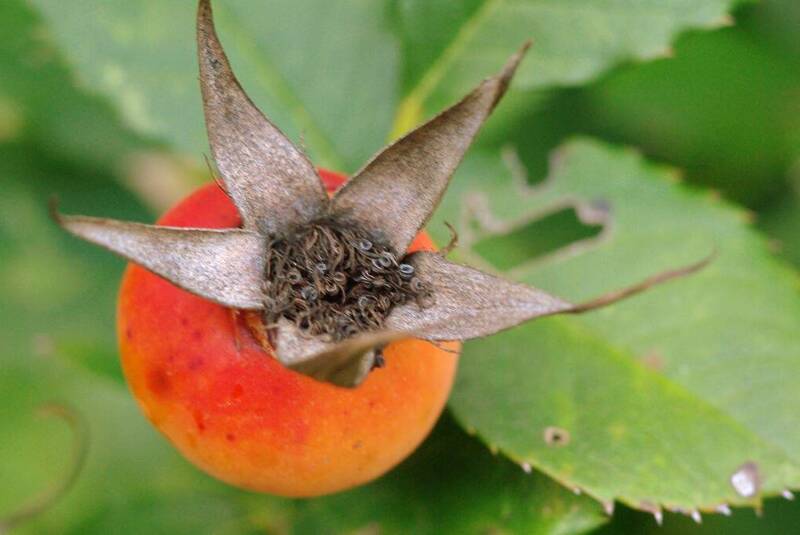 I love the look, if I had to choose bare rose stalks or rose hips. Love the colour and I am sure they have some health benefits too. 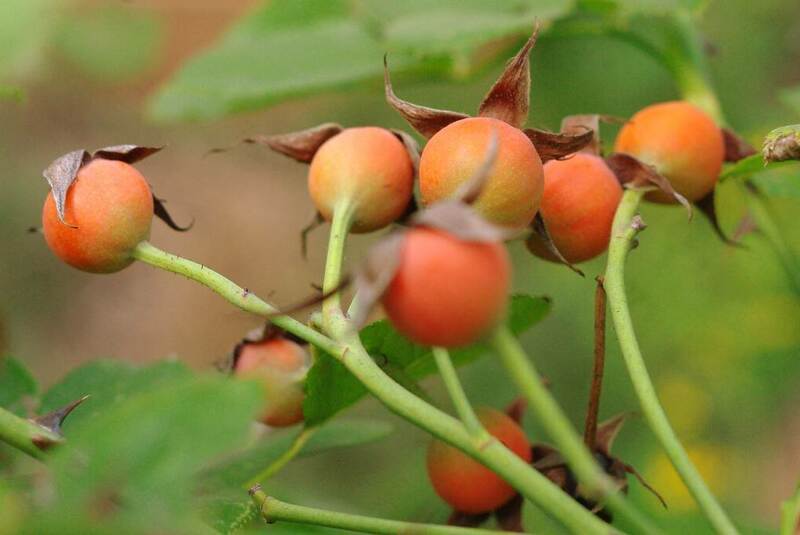 I am enjoying rose hips too. You could try to grow some roses from the seeds.